Need Rubbish Removed in the Exmouth area? Jim’s Mowing offers yard clean ups and rubbish removal services in Exmouth. 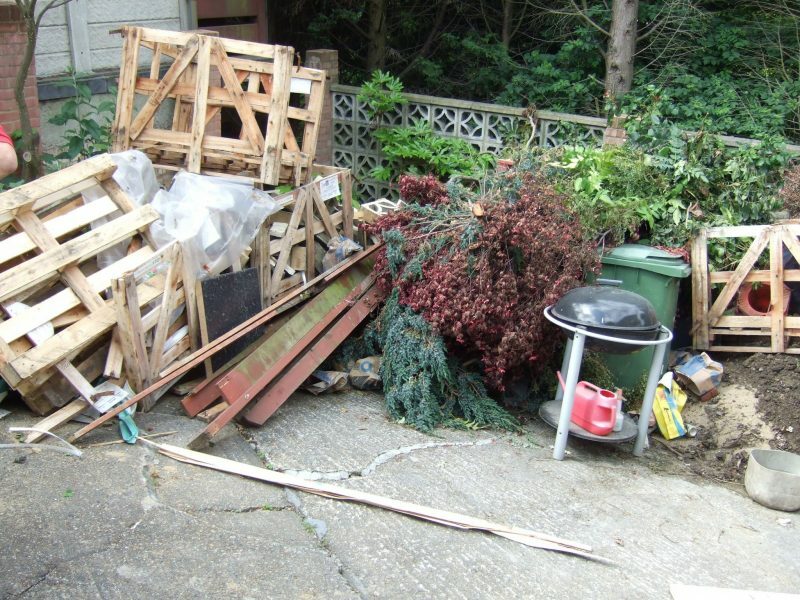 You can call Jim’s Rubbish Removal team in Exmouth on 131 546 [8am-8pm 7 days] or you can book a rubbish removal job online for a time that suits to finally get that yard clean junk free, with all your garden waste & rubbish removed. We offer a free, no-obligation quote and we are very cost effective. Don’t be pressured into paying inflated prices quote by “junk haulers” simply because they can take your junk “now”…. It will usually be at a heavily inflated price. Naturally, we’d like to see the job first before providing a price estimate or written quote. This allows us to assess exactly what type and volume of rubbish is to be removed. Often garden waste can be mulched and put back into your garden, so reducing tip costs. We will also see if any items can be recycled. Specific types of rubbish must be disposed of carefully and legally, and not put into landfill. Our fully trained staff are complaint with local council and law enforcement agency requirements for safe rubbish removal and disposal of potentially toxic materials. Our Jim’s Rubbish Removal Exmouth team can also offer advice on gardening, composting, recycling, garden layout, design, landscaping and plant selection. So once all that rubbish is removed, don’t be shy and make full use of the Jim’s Gardening team and their expert gardening knowledge. Put them to work weeding your garden, removing unwanted plants, pruning trees and hedges, installing garden watering systems, mowing the lawn, laying new turf perhaps or planting out new garden beds. All Jim’s Gardening team are required to have a current Police Check, are Fully Insured and professionally Trained, giving you and your family peace of mind. Plus, all of our work comes with the famous Jim’s 100% Satisfaction Guarantee. Our Customer Reviews speak for themselves. Call Jim’s Exmouth Rubbish Removal 8AM to 8PM (7 Days) on 131 546 now simply Book a Rubbish Removal Service online, now. You’ll be glad you did! Need more than just a yard clean? Jim’s also provides Skip Bins, Tree & Stump Removal, Handyman Services, Fencing, Pressure Cleaning, Roofing, Painting, Paving & more. View our full list of Jim’s Franchisee Businesses here.